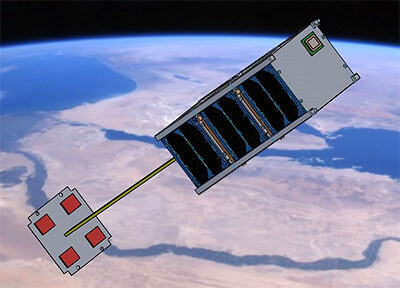 The RFTSat 1 (Radio Frequency Tag Satellite) is a 3U CubeSat mission by the North Nazarene University to test backscatter radio communication between CubeSat and remote wireless sensors. It is a technology demonstration mission to test a system for deploying small, wireless sensor tags from the spacecraft that harvest RF energy and communicate with the spacecraft using backscatter radio. The sensor tags could be used to sense many phenomena including, but not limited to, acceleration, electric field strength, magnetic field strength. The wireless sensor tags will provide flexible sensor communication mechanism and reduced mission risk by reducing the complexity of the deployable boom design. Provide sustained data throughout the satellite’s life RFTSat subsystems will be built primarily using commercial off the shelf (COTS) components.